Hello again Adventurers! Last time you saw me I was describing the hijinks we got up to developing the Cradle of the Death God in our Lost City of Omu content. This time, I’m going into detail about the development of the Barovia zone we’re releasing as part of our Ravenloft release. Specifically, I want to focus on three aspects of production that stood out during the development process. First, I want to talk about the importance of artistic intent during production. Next, I’ll go into a few examples of how often we iterate before we release. Rarely is the first plan the final shipped product! Finally, I’ll go into a bit of our optimization process and the choices we have to make regarding graphics levels on PC. Having focused artistic intent, the ability and willingness to make changes, and knowing how to balance performance/visuals for optimization are three key abilities that any environment artist should have. Establishing intent is something that needs to happen early on in a project. What I mean when I say establishing intent is making clear goals that define what a finished feature will be. On Neverwinter, the environment art team make something called Art Vision Pages (AVP) during pre-production. These are documents we share with the team that lay out our plan for the feature we’re working on. We start by giving a brief summary of the feature, add some focused reference images, and then describe our ideas for the color, light, and mood of the feature. One of the main jobs of an environment artist is to help establish the mood of the level. Color, light, and shapes can all be used to help give a level a certain feel. A harshly lit red desert with sharp, angular rocks has a very different mood than a sea of moonlit sand dunes dipping into the overgrown oasis. As time goes on during the project, I can reference back to my AVP and make sure that I’m still on track. Deviations from the plan are okay, though, as long as they are made with intent. A zone is a big feature and it’s important not to get locked into a plan just because it was the first one you made. One of the best lessons to learn about game development is never become overly attached to ideas. A good environment artist puts their ego aside when it’s time for critiques. Just because something is playable doesn’t mean it’s the best we can do. Every artist on the team is constantly adjusting their projects based on feedback from the rest of the crew. One of the aspects of the zone that changed the most early in development was the layout and general features of the terrain. 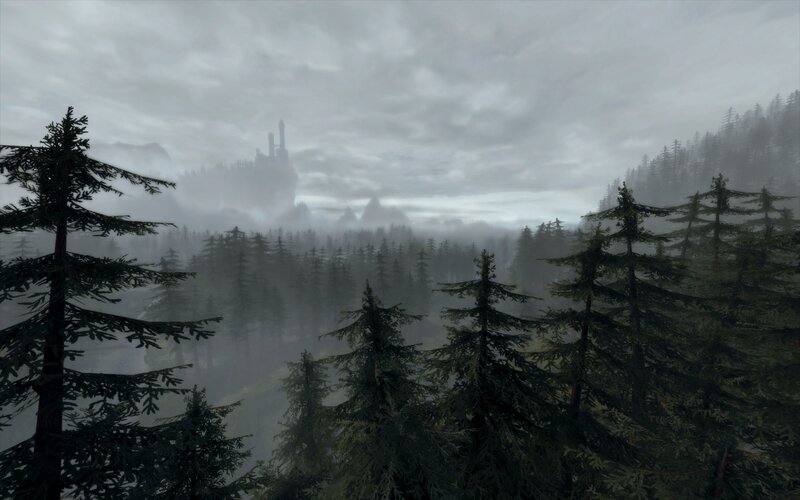 The Village of Barovia was originally on the eastern edge of the zone. We wanted players to get right into their questing the moment they loaded in. We moved it a bit more to the middle to allow for a more cinematic reveal of Castle Ravenloft and the village. Then, we moved it even more to the middle so that none of the questing neighborhoods felt much farther than the others. We didn’t want players to feel that getting a quest in one section of the zone was inherently less fun because of travel time. Balancing the need for quick access to questing and enjoyable questing once you’ve started was something that we had to playtest until it felt right. Rapidly iterating on the core concept of a feature early in development is crucial to getting the best result at the end. The final task I wanted to talk about is optimization. It’s a tricky concept, especially for PC games. Developers working on a single platform can optimize very narrowly towards a single target. Since Neverwinter launches at different levels on PC, Xbox One, and PS4, we have to make a game that can run at several different visual fidelity levels. In essence, optimization is making a choice where to lose fidelity in order to gain performance across the entire scene. Things like Levels of Detail (LODs) can make a big impact. LODs sometimes require some really custom work to have a perfectly optimized asset. Some of the assets that I spent the most time optimizing for this zone were the pine trees. The trees for Barovia are packed especially densely. 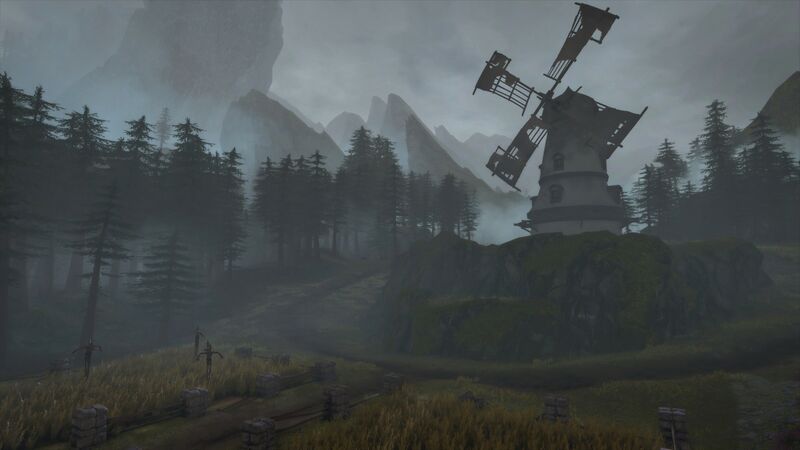 This helps to establish a spooky atmosphere for players that venture into the woods, but it requires a vast number of trees to accomplish the look. 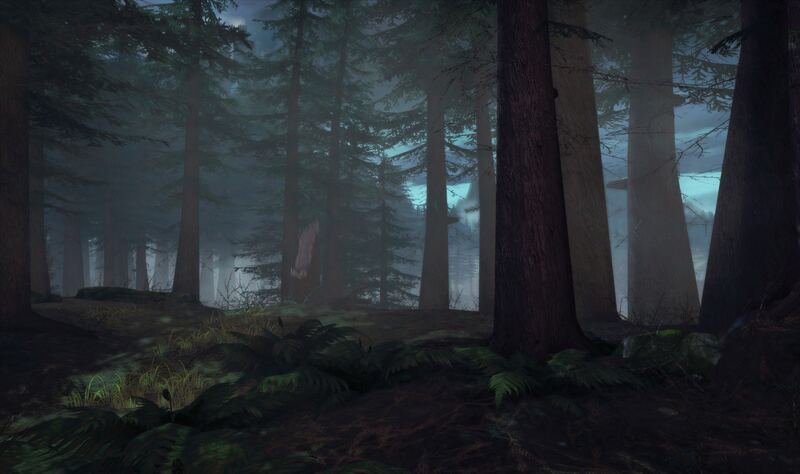 There are only three different tall pine trees in the zone that are all scaled and rotated randomly to mimic the actual variety you’d get in a pine tree forest. Each of the trees has a total of three LODs (the normal model is LOD 0, then two more decreasingly complex models). Originally, we only had two LODs for this model tree, but creating a third allowed us to have a much smaller triangle count. A good amount of the optimization for Neverwinter happens automatically, behind the scenes. Sometimes, though, this automation can return results that just won’t do. For our low-end PC players, there is a feature called clip fog that simply culls any object farther than a certain distance from the camera. This works really well for interiors, and generally well for exterior levels. The problem with this map, however, was that the Castle of Ravenloft wasn’t drawing! The most iconic and important landmark in the zone was too far away, so low-end PC players just wouldn’t see it at all. It took some clever workarounds and a fair bit of work, but such an important landmark is worth the effort. Optimization is always a balancing act between performance and visuals. We want to make the best looking game that we can, but it’s even more important that players have the best experience we can deliver. I hope that you’ve enjoyed seeing behind the curtain a bit. Working on this zone was really a treat. The cursed land of Barovia has such a legendary status in the world of D&D and I feel pretty lucky to share my vision with you. 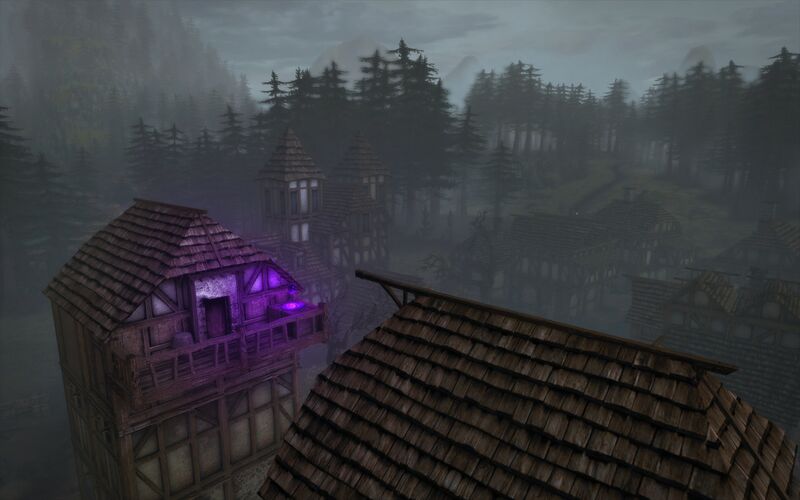 Ravenloft launches June 26 on PC. Hope to see you in game!